Beer lovers are hitting the road, and retailers are reaping the benefits. 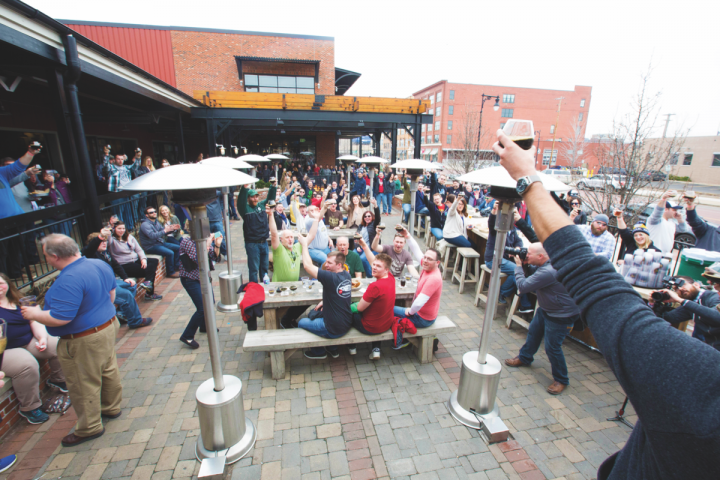 Last March, Founders Brewing held its annual KBS Week event in its home city of Grand Rapids, Michigan. The event, which sells out every year, allows beer lovers to sample the latest release of the brewer’s Bourbon barrel–aged KBS at the brewery taproom and in bars around the city. When Jason Heystek, vice president of planning, packaging and inventory at Founders, tried to book a hotel room in Ann Arbor at the last minute, he discovered that every room in town was booked. “Things are crazy in Grand Rapids during KBS Week,” Heystek says. Thanks to events like KBS Week, beer tourism is thriving around the country. “Beer tourism has become embedded in our culture and our economy,” says Matt Canning, who has served as beer concierge at Hotel Vermont in Burlington for the last three years. He notes that the Vermont Department of Tourism & Marketing has ranked beer as the state’s No.-2 tourism driver, second only to skiing. 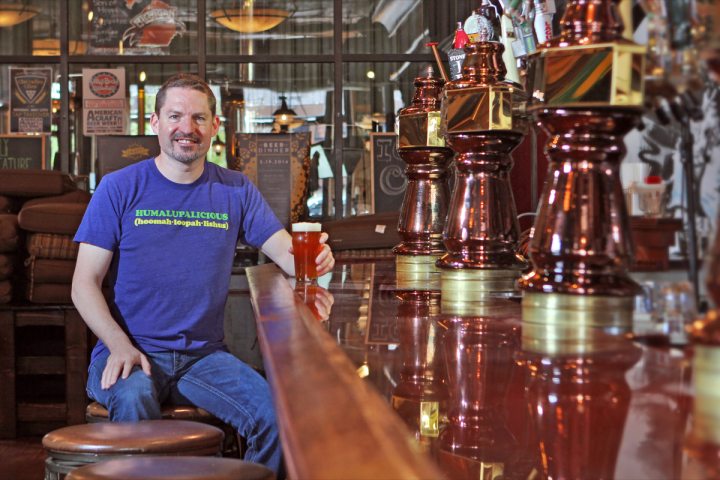 “As craft beer continues to grow, the hospitality industry will follow,” he says. In Asheville, North Carolina—a town repeatedly crowned “Beer City USA” by Examiner.com—retailer Johnny Bellflower notes that his hybrid on- and off-premise beer establishment Tasty Beverage Co. has also benefited from the rise in beer tourism. “It’s not uncommon for someone to spend hundreds of dollars on a single purchase,” he says of weekend tourists. Beer tourists are typically in search of beers they can’t get at home. “Every weekend we have people in from California and Canada,” says Sean Campbell, owner of the BeerMongers bottle shop in Portland, Oregon. “They come to town for the beer and the food, and visit our shop for beers to take back home with them,” such as labels from De Garde, Ale Apothecary and Block 15 breweries. At HopCat—a beer bar founded in 2008 in Grand Rapids that has since expanded into a 14-unit chain—founder Mark Sellers says tourists seek out brews from Michigan, like those from the local Brewery Vivant. Tourists in cities with great beer reputations sometimes seek out beers that aren’t brewed locally. According to Jason Dennis, beer and wine manager at Beverage Warehouse in Winooski, Vermont, adjacent to Burlington, his customers from Quebec—just 90 minutes away by car—are interested in an array of American beers that aren’t distributed north of the border. And at Monk’s Café in Philadelphia, long recognized for its curated selection of draft and bottled beers sourced from near and far, owner Tom Peters says the elusive Cantillon brews from Belgium are often on tourists’ bucket lists. “We get customers from around the world—Japan, Great Britain, Brazil, Mexico,” Peters explains, adding that these seekers know that if any bar in Philly has received a shipment of Cantillon, it’s Monk’s Café. Portland, Oregon’s reputation as a beer destination is well deserved, given its long history as a home to many craft breweries, its award-winning beers, and its popular beer bars and bottle shops. According to tourism group Travel Portland, a recent survey found that 72 percent of people planning a visit to the city expected to stop at a local brewery. Campbell has seen the growth of tourism in Portland first-hand in the nine years since BeerMongers opened. To promote the store—which offers 650 different beers, priced from $2 a 12-ounce serving to $50 a 750-ml. bottle—to beer tourists, Campbell largely relies on digital support via platforms like Taplister, Facebook and Twitter. He adds that online reviews from sites like Yelp have also been helpful in building Beer Mongers’ reputation among beer tourists. In San Diego, beer is a big driver for the local economy. According to Jill Davidson, western regional sales manager at Pizza Port Brewing Co. and president of the San Diego Brewers Guild, “the economic impact of beer in San Diego is nearly $1 billion.” While pleasant weather makes San Diego a destination for beer lovers year-round, the city’s annual beer week in November drew more than 20,000 visitors in 2016, Davidson says. 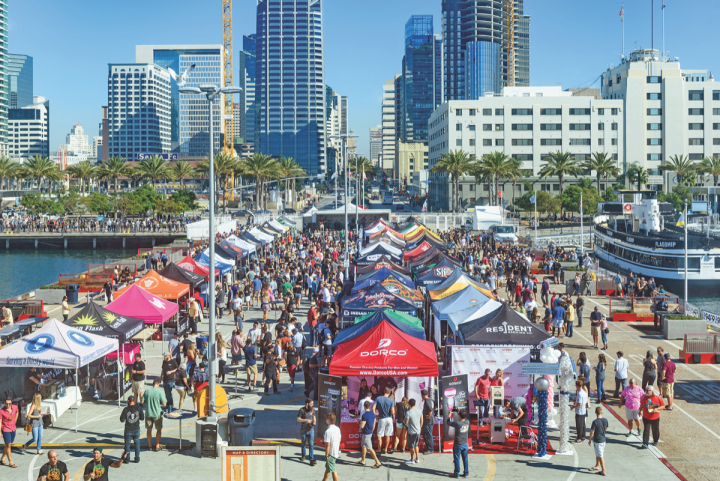 Local bars, restaurants, hotels and stores are among the beneficiaries of San Diego Beer Week, she adds, noting that the program features more than 500 beer-focused events throughout San Diego County. 72 percent of people planning a visit to Portland, Oregon expected to stop at a local brewery. “We’ve seen a lot of growth in beer tourism in Grand Rapids over the last nine years,” Sellers says. He points to the 30 or so craft breweries now operating in the area, the recognition those like Founder’s and HopCat have received, and the city’s coronation as “Beer City USA” in 2013 as contributors to the growth. While the HopCat operator is unsure of the direct impact beer tourists have on his business, he says, “it seems that on any given night, 15 percent to 20 percent of our customers are staying at a downtown hotel. Without those guests, our business would be down 20 percent.” HopCat offers 50 draft brews with an average price of $5.50 a 16-ounce pour, and 200 bottled and canned beers, ranging from 12 ounces to 750 ml., with an average price of $7. Founders Brewing cofounder Dave Engbers estimates that the brewery welcomes about 1,000 guests a day during its annual KBS Week. But he says off-premise accounts also benefit from the beer’s release. “They get their value from the folks coming into town,” he explains. “Savvy beer retailers tuck away some of the local beer gems and pull them out when local breweries are having special events to get the most bang.” Engbers and Sellers are quick to point out that other beer-focused events attract tourists to Grand Rapids at other times of year. Brewers, bars, retailers and the Explore Grand Rapids tourism board work collaboratively to highlight the events. Founders Brewing draws tourists from across the country to its home city of Grand Rapids, Michigan with its KBS Week event, which celebrates the release of its Bourbon barrel-aged brew. The East Coast also boasts several beer hot spots. Canning of Hotel Vermont explains that his position was created in 2014 to “officially recognize” the importance of beer tourists to the venue. In addition to providing “local beer knowledge and insights to guests on a daily basis,” the beer concierge oversees the hotel’s “Hops & Malts of the Matter” two-day package. The program ($539 for two people) includes visits to the Alchemist and Hill Farmstead breweries and a five-course dinner paired with local brews. Dennis, meanwhile, says his Burlington-area shop attracts beer tourists “every single day. They’re an important part of the puzzle that makes our store so special.” Beverage Warehouse—which offers between 900 and 1,200 beer SKUs, priced from $4 a six-pack to $25 a four-pack—runs modest advertising in local publications, Dennis says, and relies on its website and social media to reach beer tourists. But the store’s reputation as a destination for beer lovers has mostly been built via word of mouth. Not only is Philadelphia the City of Brotherly Love, it’s the City of Brewery Love as well. The city’s annual beer week in early June attracts throngs of beer-loving tourists. Tom Kehoe, founder and president of Yards Brewing, says Philly Beer Week is different from similar events offered in other cities in that it “promotes all beers, including those from elsewhere, even imports.” Perhaps that’s why the 20-year-old Monk’s Café has become a favorite destination for beer tourists. “Business during Philly Beer Week is crazy good, although we rarely have a slow day throughout the year,” Peters says. Draft brews at Monk’s Café range from $5 to $15 depending on the beer and the pour size, and bottles range from $5 a 12-ounce to $150 for a 3-liter jeroboam of Chimay Grande Réserve. 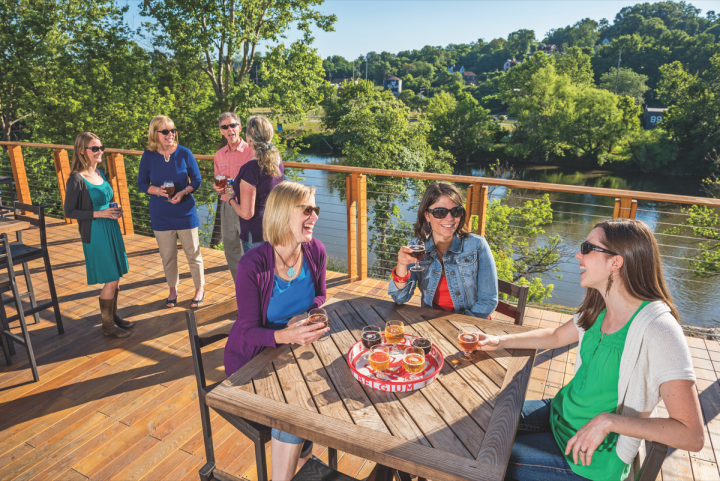 Further south, Asheville has seen considerable growth in beer tourism in recent years. In 2016, the area welcomed 3.8 million overnight visitors, according to Explore Asheville, the city’s convention and visitors bureau. More than a quarter of them stopped by breweries, and 14 percent said the beer scene was among the primary reasons for their visit. Bellflower of Tasty Beverage says these beer tourists are crucial to his business. “A lot of people travel to Asheville to see the breweries and bottle shops, as well as the new craft distilleries that are sprouting up,” he explains. Tasty Beverage stocks between 800 and 1,000 beers—priced from $7 a four-pack to $50 for a 500-ml. bottle of Baladin Xyauyù—while its 13 drafts range from $4 to $10. Beer tourism shows no signs of slowing, and merchants will continue to benefit. Beverage Warehouse’s Dennis sees bigger groups of beer tourists coming into his store now, and notes that some are expanding their trips to all of New England and not just Vermont. Davidson of San Diego’s Pizza Port is hopeful that tourists attending this year’s beer week will surpass last year’s mark. “We only wonder how high it can go,” she says.